No offense to Sam Worthington, who definitely put in a performance as the star of the first Avatar movie, but the cast for James Cameron’s sequels (which are totally going to happen someday, probably) is looking much more impressive. 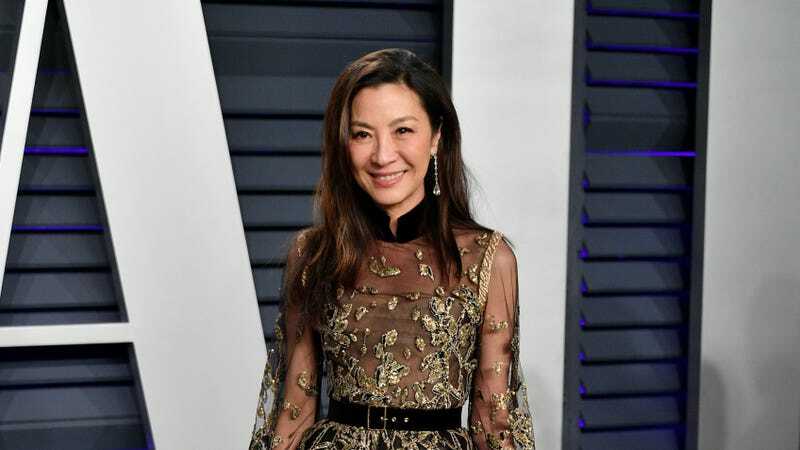 We’ve already got Kate Winslet, a bunch of innocent kids who will experience the thrill of watching their alien parents have a big fight, and Vin Diesel, and now The Wrap says that Michelle Yeoh has joined the cast as a scientist named Dr. Karina Mogue. We don’t know anything else about the character, like whether or not she’ll get a Na’vi fursona like all those humans did in the first movie, but Cameron said in a very personalized and complimentary statement that Yeoh has “always created unique and memorable characters” in her work and that he looks forward “to working with Michelle to do the same thing on the Avatar sequels.” Is it wrong to imagine that he’s as unsure about all of this as we are? Anyway, Avatar 2 will supposedly be in theaters in December of 2020.